Although my days are filled with dyeing and all the other parts of running a business and keeping it plucky, most evenings I try to carve out a little personal knitting time. Because knitting is such a great love of mine and is just good for the soul, I am always on the lookout for a project that will move along at a nice pace (comfort knitting if you will), but still allow the part of my brain that LOVES color and texture to just have fun! 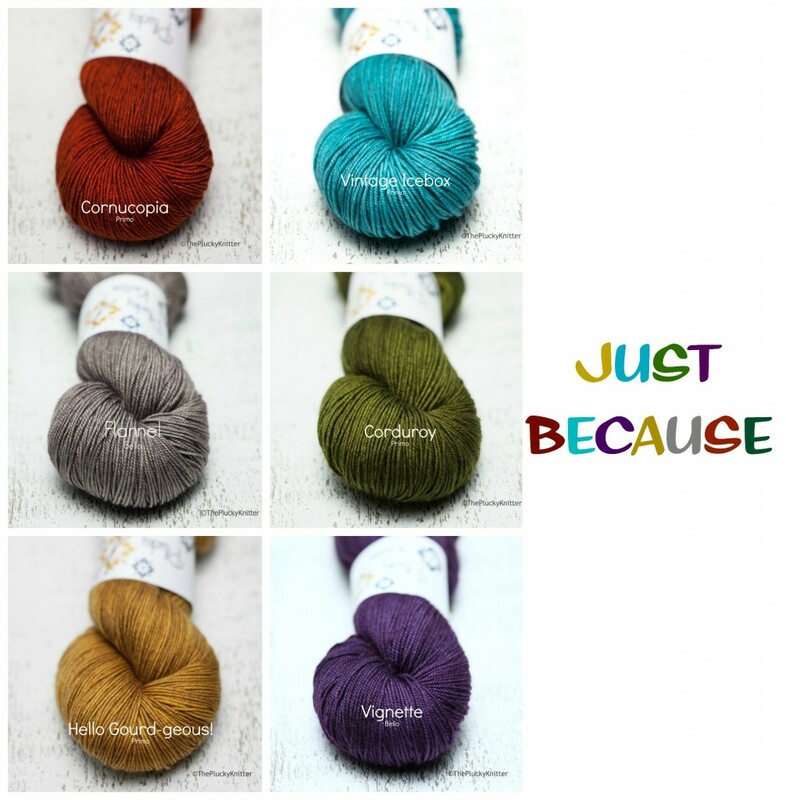 TheYarniad – a.k.a. Hilary Smith Callis – has brought me hours of pure happy knitting! She has designed a gorgeous, slightly asymmetrical triangular wrap that offers endless possibilities. The Aeris Shawl can be knit in a choice of bases, in a single color (in Sticky Toffee on Bello worsted as shown by Hilary) or with the addition of zingy contrasting stripes. I already know that one Aeris is not going to be enough for me! I really want a solid color version too. The Aeris possibilities are endless and in addition to Bellow Worsted, I think it begs to be knit up in Scholar or Cozy as well. I am so excited to have the opportunity to share the Aeris Shawl with you. We will offer it as an exclusive Plucky kit, in either Bello Worsted, Cozy or Scholar, with the option of ordering a single color kit or and because you may want to add some stripes, we will be posting several stripe sets (choose your solid color option and then choose the stripe set of your choice to accent your solid color set). I’m confident you will enjoy this knit as much as I did! Please join me here on the Plucky Blog on Sunday, August 10th at 6:00 p.m. EDT for our Aeris party! Seth will have the blog all set up so that you can choose either a solid two or three skein option. You will need the solid two skein option to knit Hilary’s solid Bello Worsted version, or the three skein option to knit my larger version. 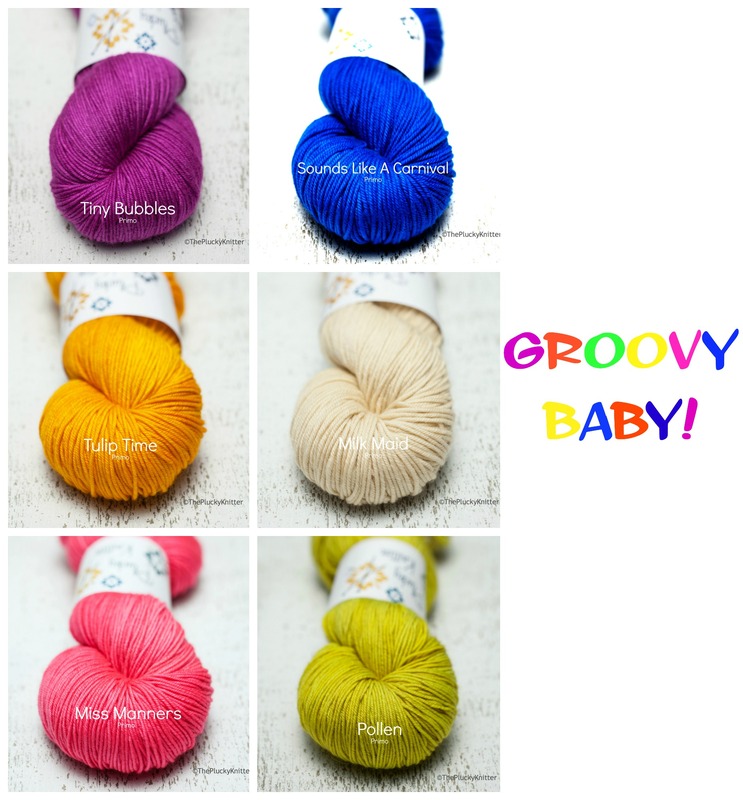 And, just for fun, Hayley and I will assemble a few single color skein sets (one skein each of 6 colors) should you want to add some stripey fun to your Aeris. Please keep an eye on the locked color thread for kit choices and the final colorway listing and maybe even another collage or two! 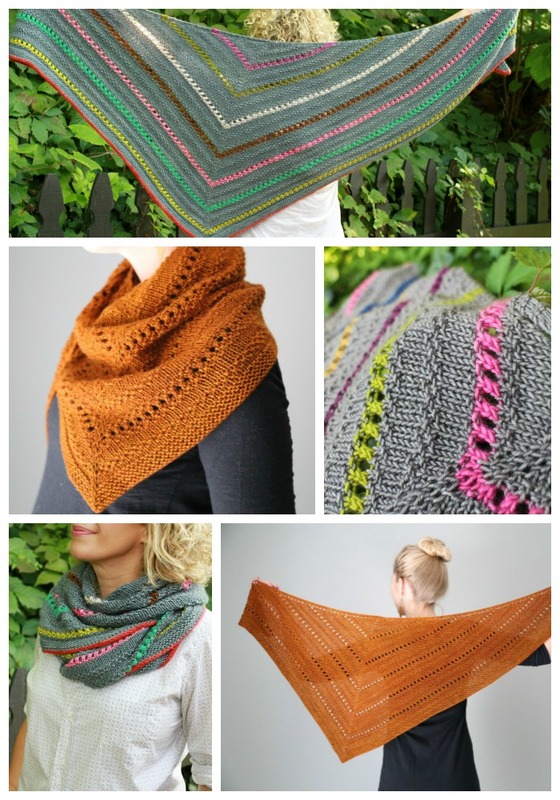 Aeris Shawl kits will ship the week of September 8th, 2014 for your planning purposes. Thank you so much and happy knitting! Beautiful offerings. ..will you be selling the pattern w/o the yarn. I can’t wait until tomorrow to order my Aeris Shawl kit, 3 skeins with the add-on for the stripes! It looks just beautiful! I was so excited when I purchased a striping kit at this evening’s Aeris update, but when I went to select the main color, the 2 and 3 skein kits were already sold out. How may we get a copy of the lovely Aeris pattern? Thanks much— this is a real beauty! Want to purchase the multi color shawl kit of Aeris. Please put me on wait list and email me and I will purchase immediately. Signed up for your blog. Really love it. Congrats!